Individualized personal training is the foundation on which PURE PHYSIQUE was originally built. Using our knowledge of exercise science and understanding of stress physiology. 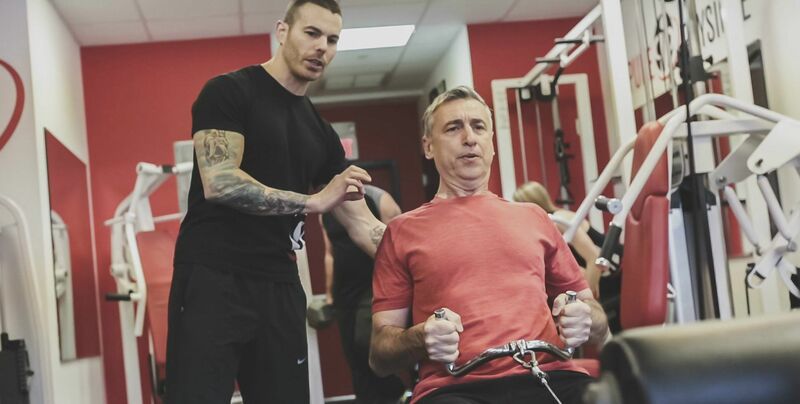 we are able to design and carry out resistance training workouts that consider each persons individual needs, goals, abilities and limitations. In our one-on-one training we take a step-by-step, methodical approach to advancing you from where you are to where you want to go. Every aspect of your training is documented and used for reference from one workout to the next. This ensures that you are progressing through your program as planned and we can objectively measure your improvements or know when a change needs to be implemented. The biggest advantage to one-on-one training is that all the attention is on you. You will never need to question if you're performing an exercise correctly because your Certified Fitness Clinician will be carefully examining all aspects of your performance, at all times. This is personal training the way it was meant to be.